Windows operating system of Microsoft in phones is considered by people as quality devices that contains best features such as lock screen functionality, clean visual design and live tile widgets. Apps for windows phone differ from android phone. Some people thought that when compared to android phones, nokia or windows phone have only less number of apps. But this has been changed by the developers by introducing the best apps for this device. Here are the following apps that nokia windows phone must have. 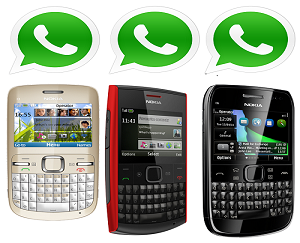 Whatsapp is an app that is free to the users for a year. Then they have to pay 0.99$ per year after they have enjoyed free usage. This app can be installed easily and it automatically synchronizes with the phone contacts of the user. This app is ad free and feature rich app and these all make this app a widely popular app for messaging. Users can use this app to send photos, text, short video messages and voice to their phone or whatsapp contacts residing in different parts of the world. The ease of use and rich features has shown that why facebook network was willing to give 19 billion dollars to get hold of this company. ESPN hub is one of the apps that users can download and use it for free. This app let the user to track the current sports scores, sports news and information about their favorite teams. This app also let the users to read the articles and stories, as well as they can watch the videos related to their favorite sports person and teams. Weather flow is an app that is designed beautifully for the windows phone that makes use of the modern and flat metro look platform. Even users can use the live tile widgets for tracking the weather of the location from their device. The cost of this app is 1.99 dollar. Translator is an app that can be downloaded from the store for free. This app supports more than 40 languages and users can do text translation from these languages. Even this app has a feature of camera assisted translations allowing the users to take pictures of signs and menus. There is a speech function feature that let the users to play out the translations and they can download the language packs using offline translation. Skype is a free app that users can use it to stay in touch with their friends, family members and colleagues through voice calls, video calls and instant messaging features. This app enable users for free voice calls, Skype to Skype video while making calls to mobile numbers or landline comes with some nominal fee. Xbox smart glass is also a free app that is designed for Xbox one and Xbox 360. This is a part of attempt made by Microsoft to form seamless experience using different devices. This app transforms the mobile device in to remote control or second screen. Get to know more about these apps of windows phone in detail from the internet.